The thing about buying buttermilk is that usually whatever you are making only requires a little bit for the recipe. Then you end up with this huge carton of non-drinkable milk and you are left wondering, “Okay, so what do I do now?” I’ve used leftover buttermilk to make cake, coffeecake, and muffins (I should add pancakes to this list), but this still only slightly whittled away at what was leftover. 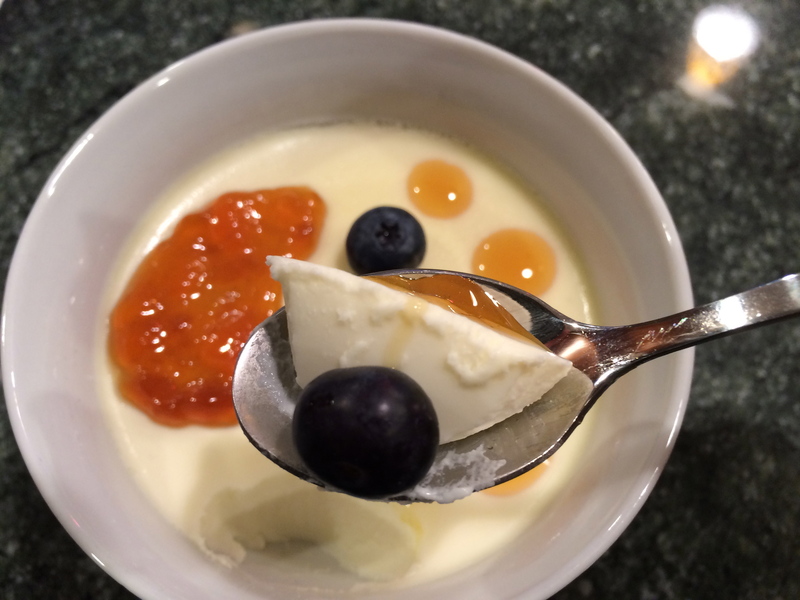 THEN I found a recipe for buttermilk panna cotta!!! With over a cup of buttermilk in the recipe, I was thrilled! 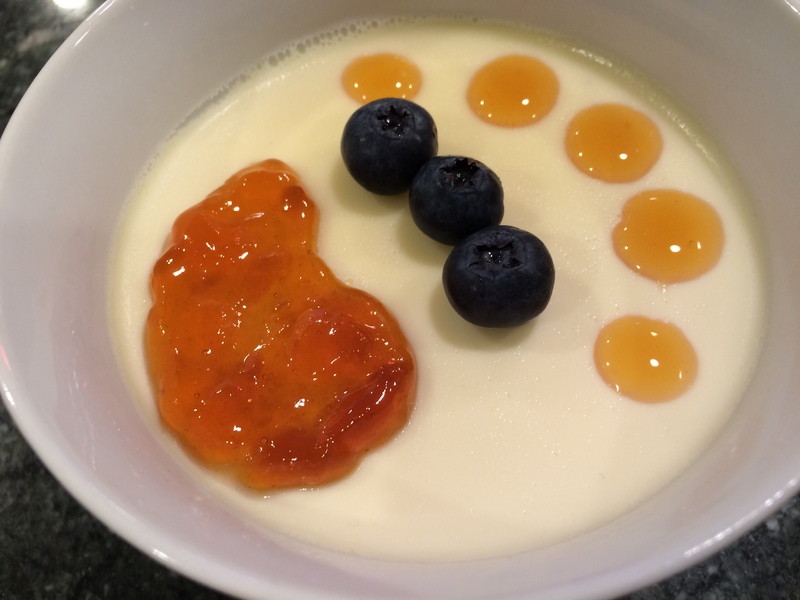 I’ve made several different kinds of panna cotta before (matcha, pumpkin, vanilla), but I was intrigued by the use of tangy buttermilk. I thought it was delicious! 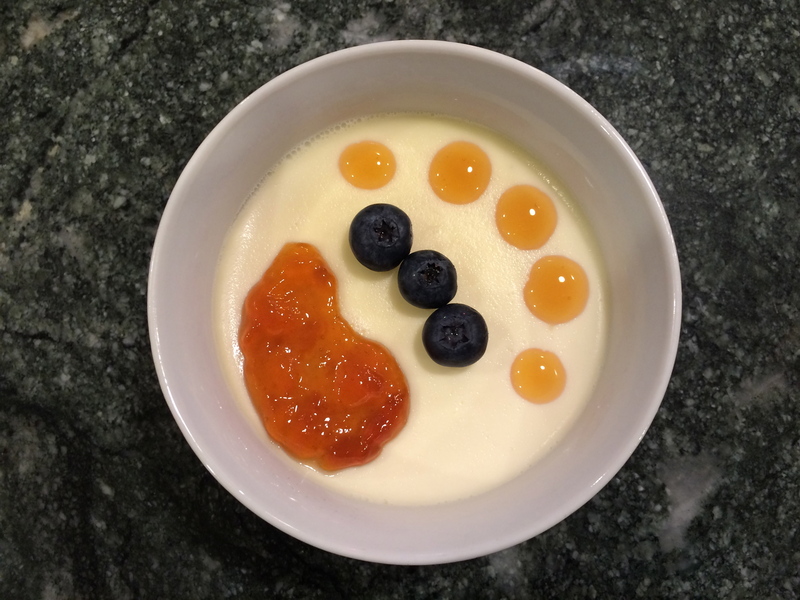 This recipe ended up being a bit firmer than some other panna cotta recipes I’ve tried, but I still loved it. I was feeling a bit indecisive about toppings, so I decided to go with a variety. I dropped a small dollop of passion fruit jelly from Hawaii, placed some fresh blueberries, and added some honey drops. In my opinion, this is the perfect dessert after you’ve had something spicy or garlicky….it’s so refreshing and not too sweet (that’s where the jelly and honey come in). Definitely a successful dessert.